“Sometimes you don’t see animals, but the vegetation here is special and rare,” our guide mentioned, and immediately the air went out of our open-air jeep. 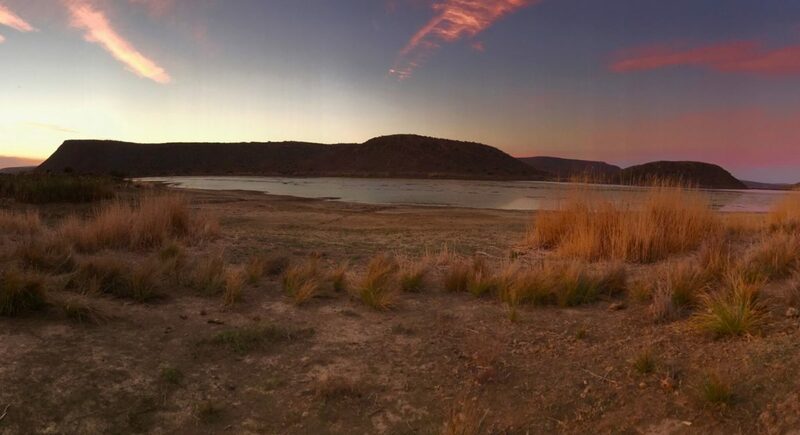 The Sanbona Wildlife Reserve is the size of Singapore, he explained, and due to a drought, many of the animals have strayed from their usual routes, making them more difficult to track. Having dragged my family on a 20-hour flight to Cape Town with the promise of lions, elephants, and other ferocious beasts, I panicked. “Special vegetation” wouldn’t cut it. But this turned out to be a case of under-promise and over-deliver. 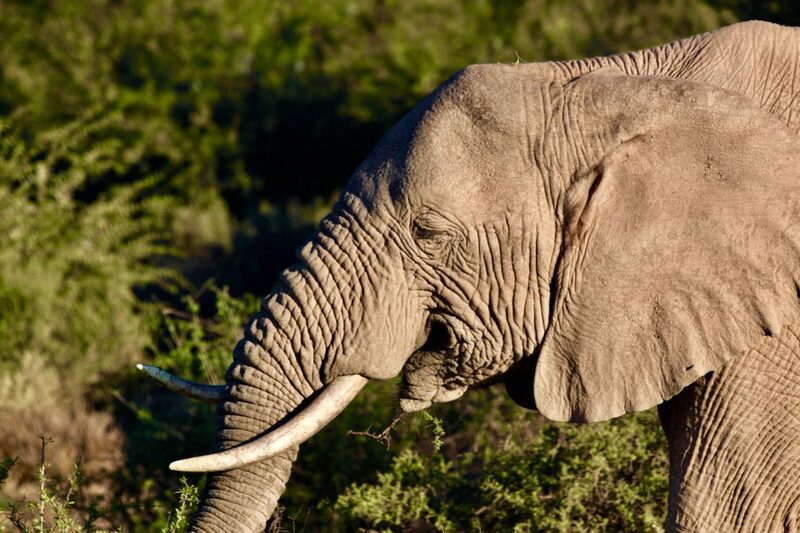 Within an hour we’d struck gold: first, a few dozen baboons scampering wildly toward a small watering hole, then a speedy herd of springbok, then eight elephants and a pair of rhinos, followed by kudus with crazy, twisting horns. With sunset approaching, we rattled to the top of a hill where our guide pulled out a cooler and mixed up some drinks. Forty-five minutes later, we were back at the lodge, soaking in a large, free-standing bathtub. 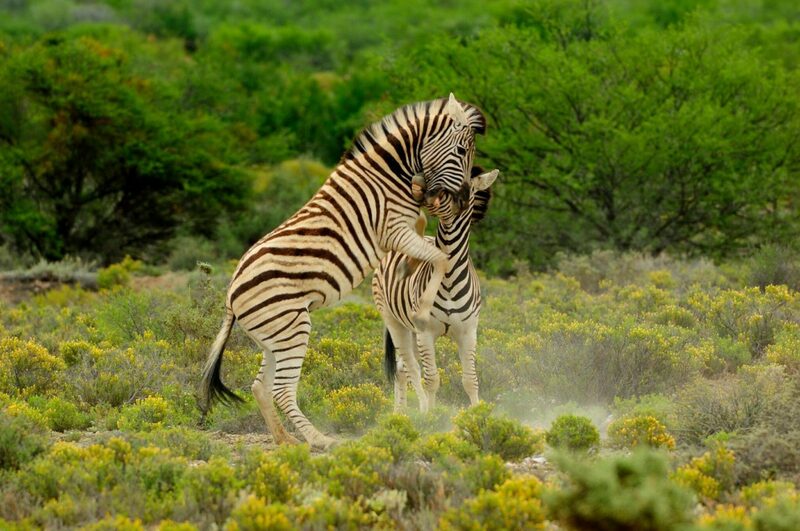 And so it was at Sanbona Wildlife Reserve, the perfect mix of creatures and comfort. 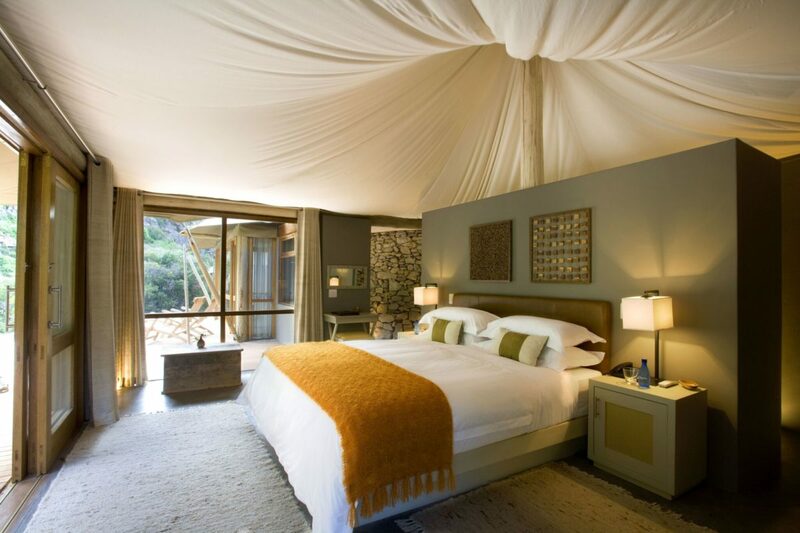 I chose it for its proximity to Cape Town—a beautiful, breezy three-and-a-half hour drive through wine country—and because of the practical matter of cost: At $400 per person, per night—which includes two three-hour game drives per day, all food, and princely accommodations—this was a luxurious safari experience at a price that’s tough to beat. 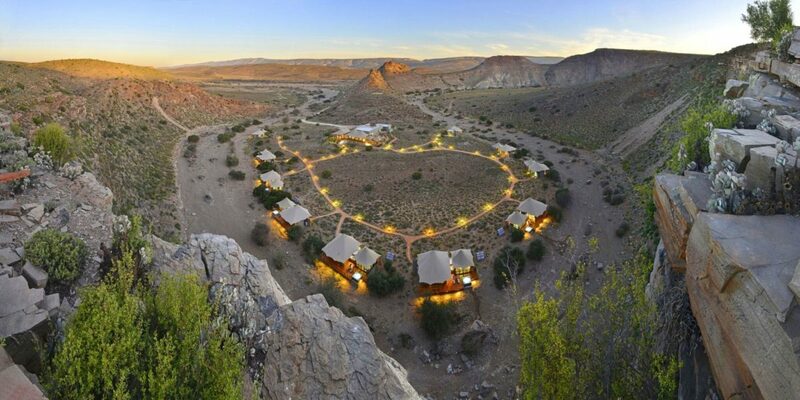 Sanbona is a collection of three lodges scattered in different parts of the reserve, each with its own personality. Ours, Tilney, had only six rooms (all spotless, understated, and massive) with twin outdoor showers and bedroom views onto the vast, undulating landscape. 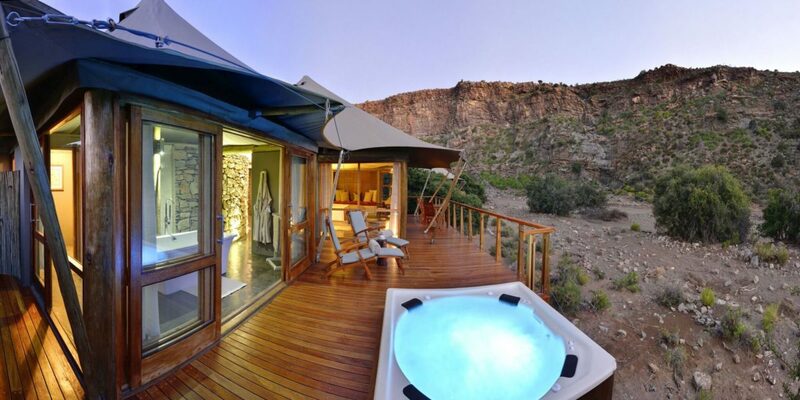 Dwyka, in the park’s far northern region, offers nine gorgeous and eco-friendly tented rooms with private outdoor jacuzzis that look onto steep rock formations—true romantic glamping. 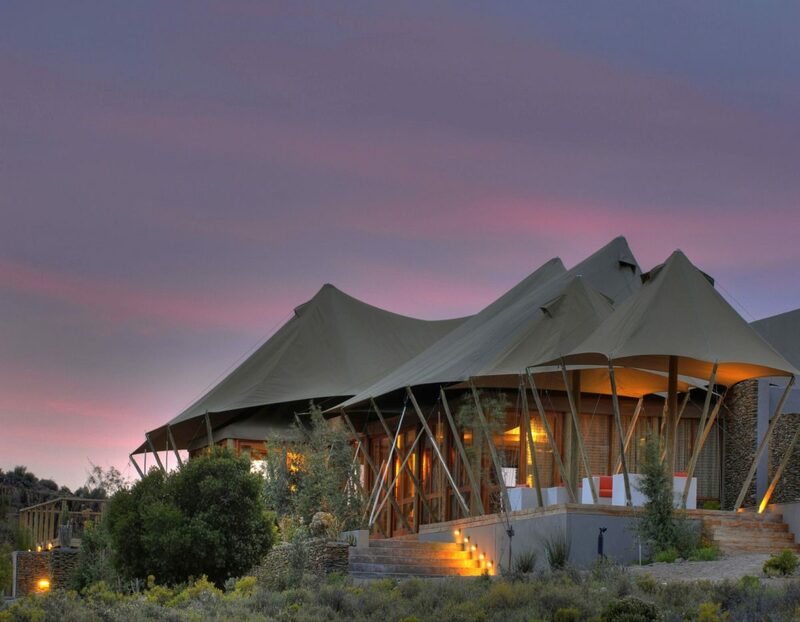 Gondwana is for families with young children, complete with a playroom, babysitting, and a kids’ safari program. 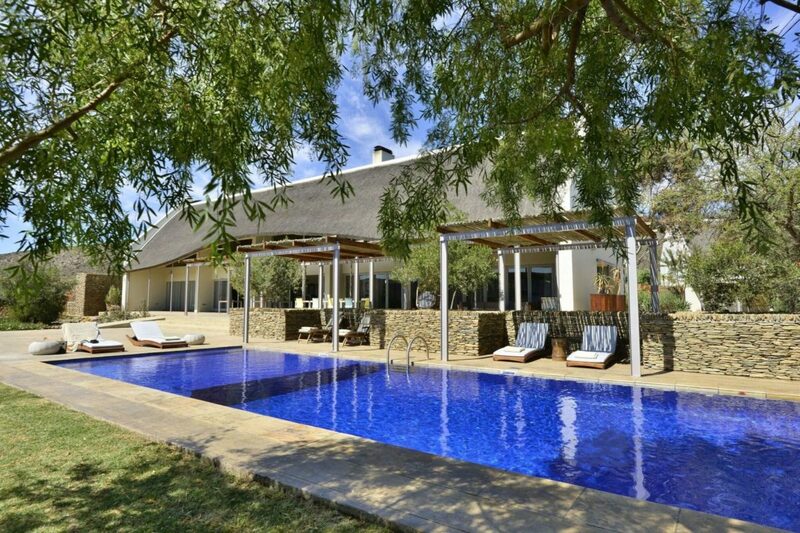 Each lodge has a small swimming pool and spa In other words, there’s something for everyone. 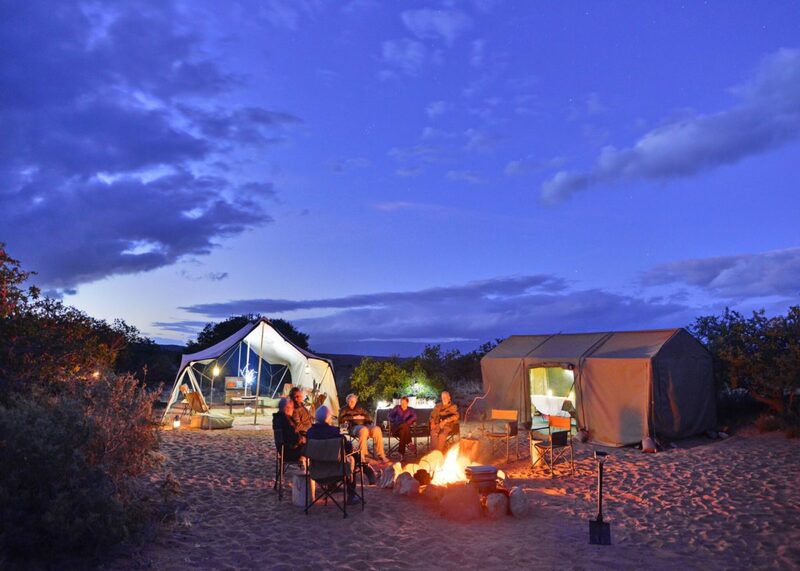 Two years ago, Sanbona underwent a renaissance when it was purchased by a wealthy philanthropist with an abiding passion for animals. Almost immediately, she turned it into a not-for-profit, upgrading the reserve’s mission and management style. The result is a staff that, from table server to well-schooled wildlife guide, is as enthusiastic and proud as I’ve seen. 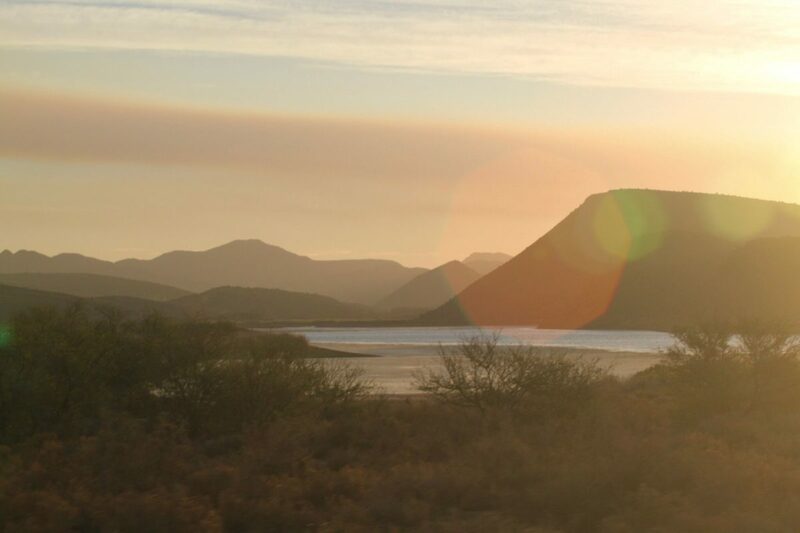 Our second game drive started early the next morning; the air was clear and crisp, and as the sun rose, the earth took on a reddish hue that was somewhere between Mars and Tucson. 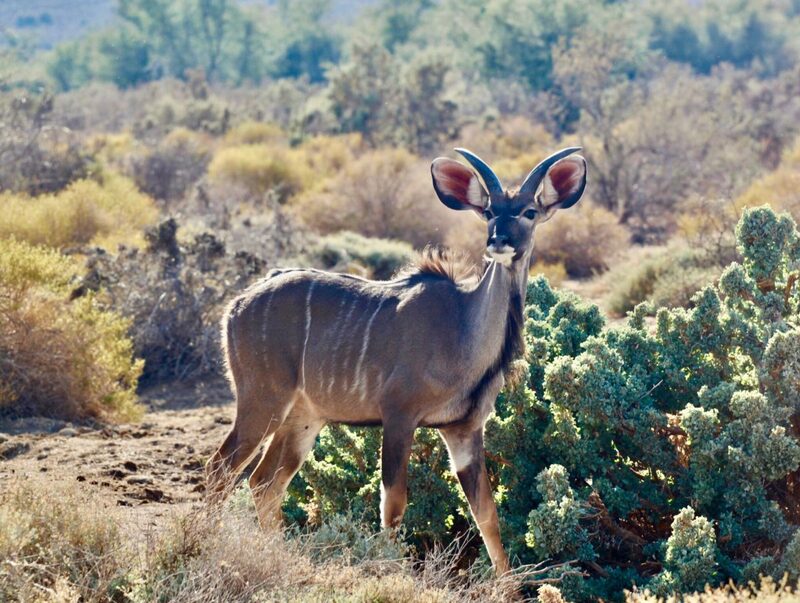 We stopped for a while to listen to the cacophonous call-and-response of two Karoo Korhaan birds, and, soon after, we stopped again to watch a giraffe chew on treetops in slow motion. Then, the Land Cruiser’s radio crackled and we were on the move. 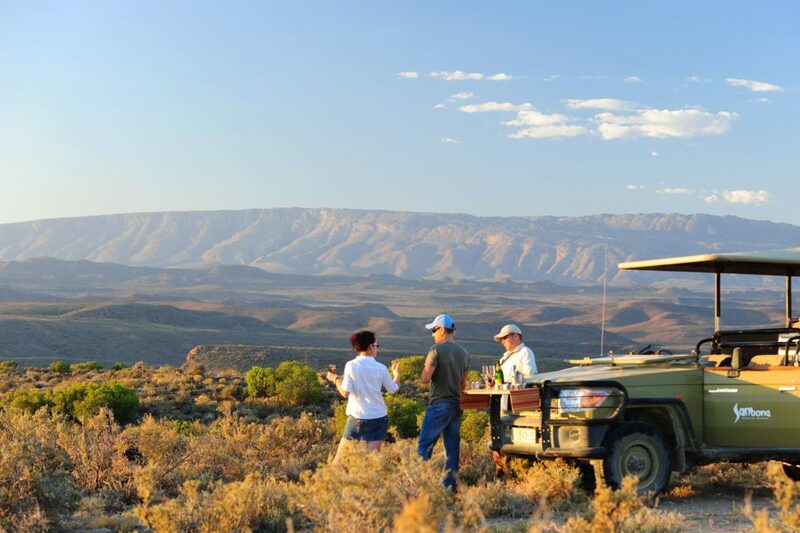 The guides share the location of animals they spot, but between their Afrikaans and the radio’s buzzy static, the specifics remain a mystery. Our guide deciphered the message: A lion pride had just made a kill. 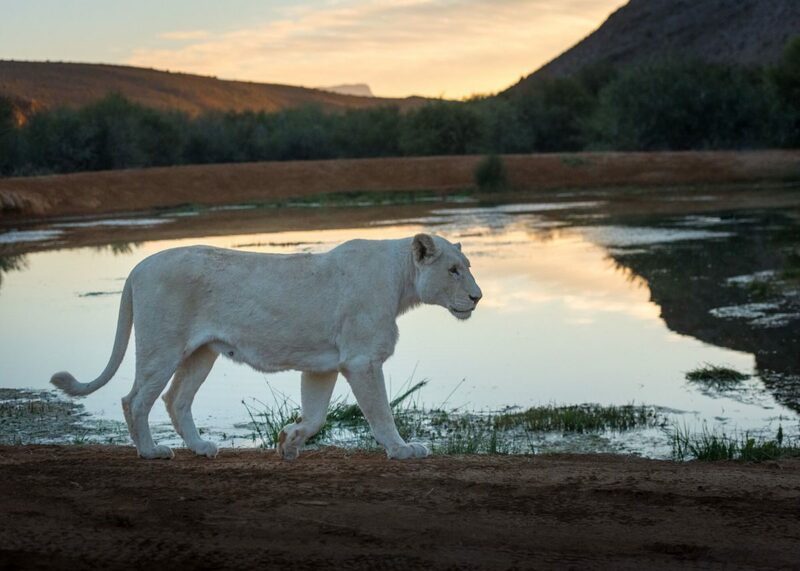 Twenty minutes later, we watched the last of a young springbok being devoured by a rare white lion, the blood on its face clearly visible against its bleached fur. On our last outing, we went in search of one of the reserve’s elusive cheetahs. We easily spent two hours on the hunt, bumping over all kinds of beautiful terrain. We never did find that cheetah—which, honestly, felt like a win. It proved we weren’t on a Disneyland ride where animals pop out on cue. On the way back to the lodge, we managed to sneak up on four hippos mostly submerged in a quiet lake. Deciding to forego the traditional sundowner drinks, we watched them until darkness fell.